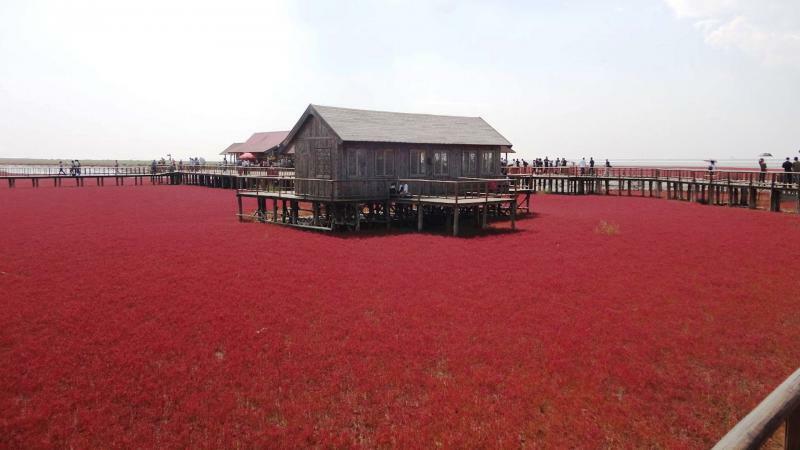 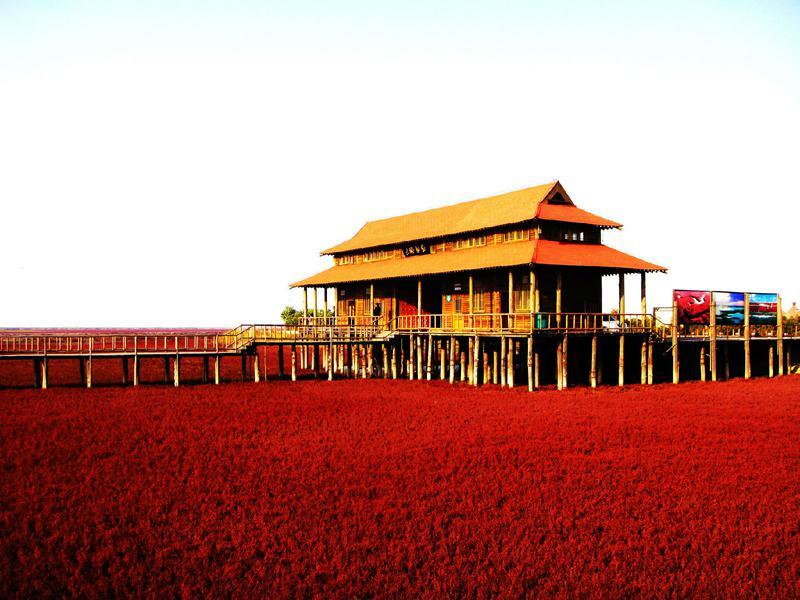 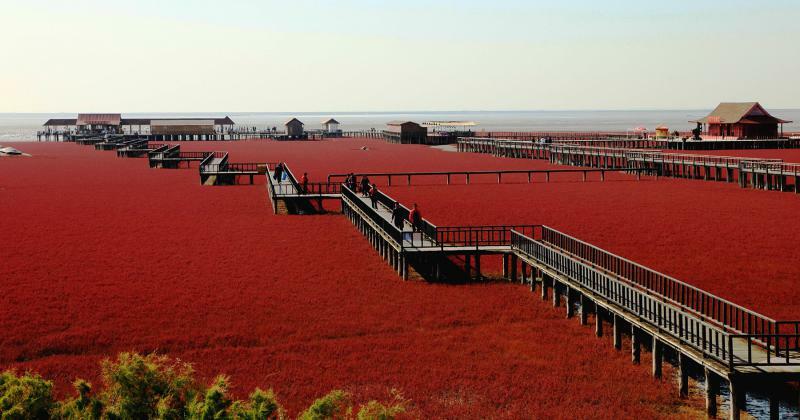 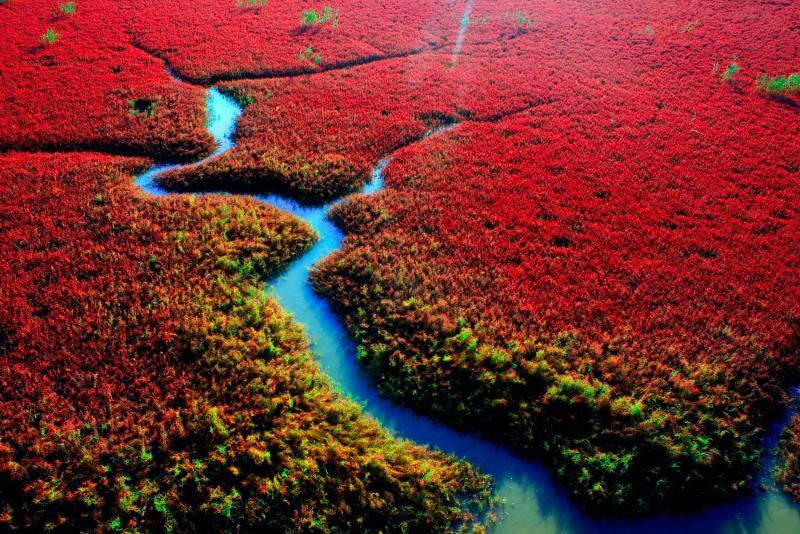 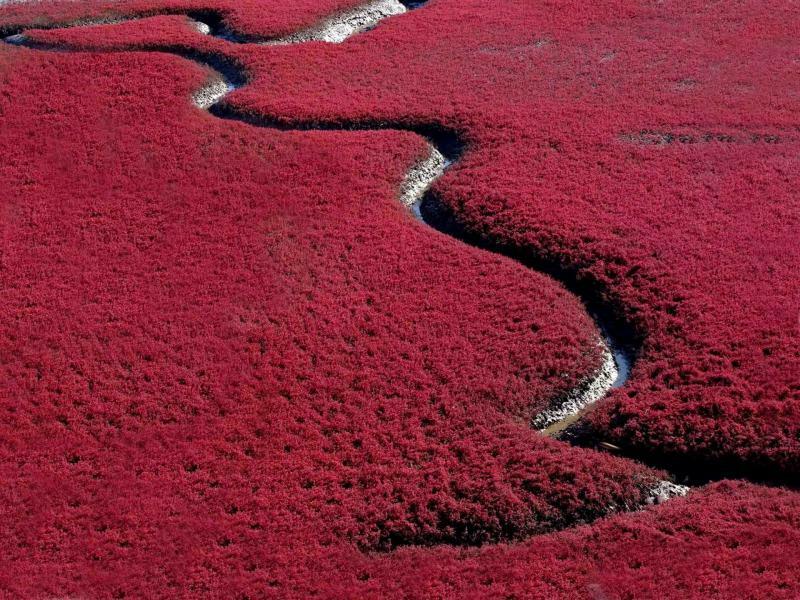 It is red not because of red sand, or because it is located in China, but because it is covered in seaweed, which is red in color. 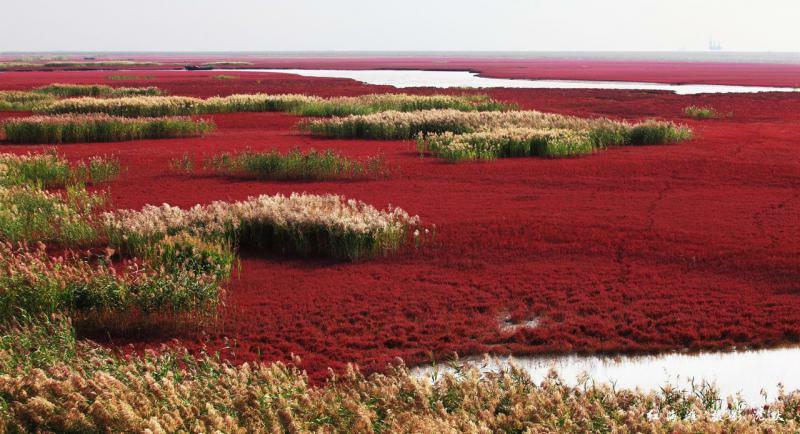 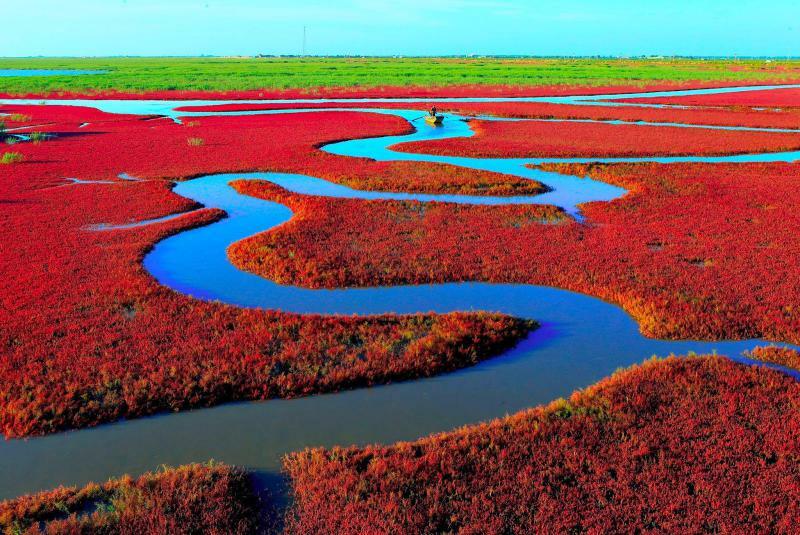 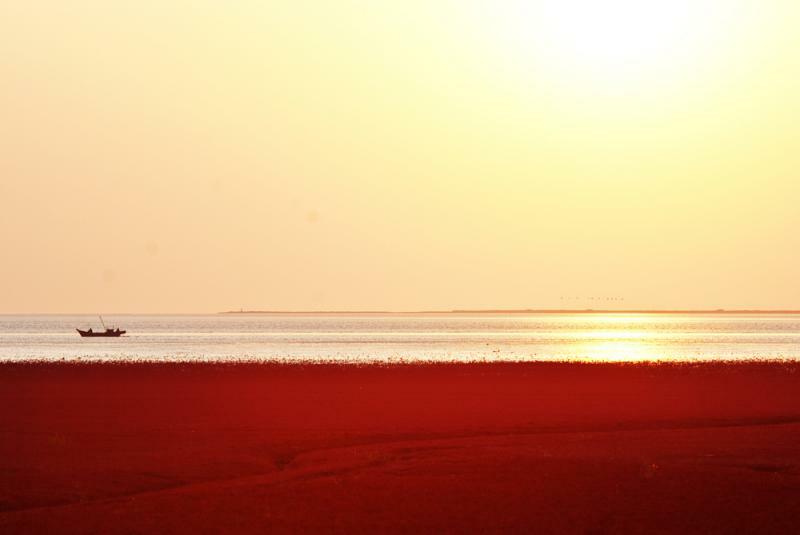 The red beach of Panjin is a true marvel not only because of its color but also because of its size - it is one of the biggest wetlands in the world, which houses one of the most complete ecosystems. 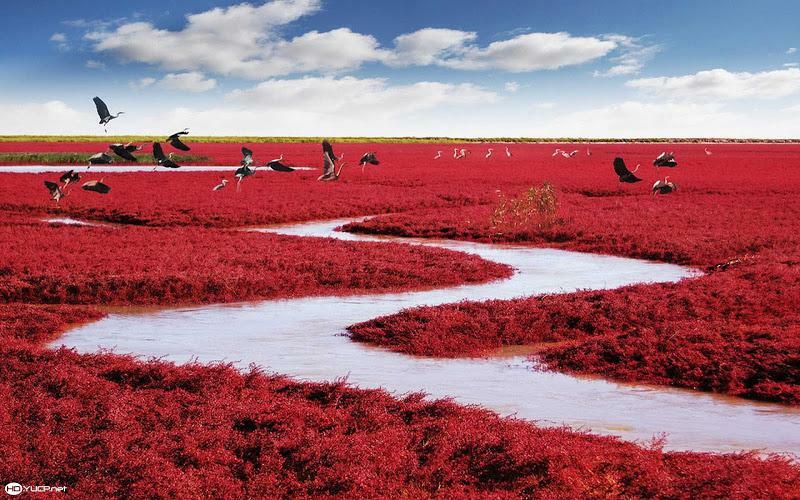 The seaweed, called Sueda, is green while growing between April and May. 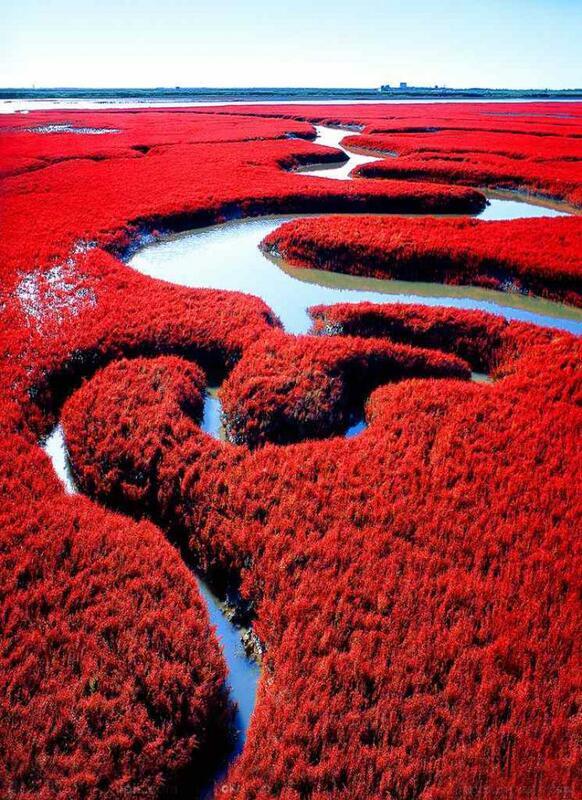 Then it turns orange and finally red in the autumn. 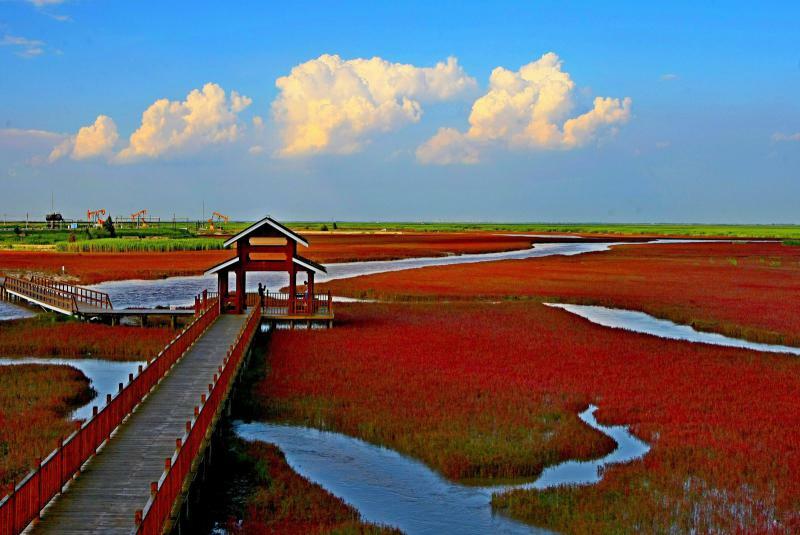 Best months to visit are September and October.